What do you know about fossils? 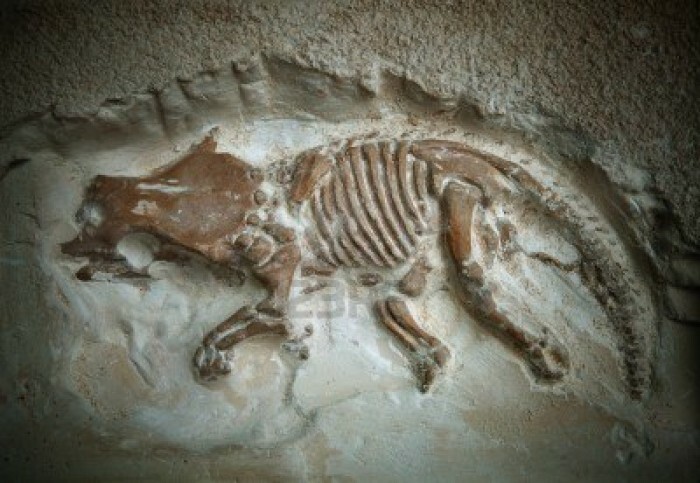 Yes, fossils helps archeologists, paleontologists to identify and understand the history of life. 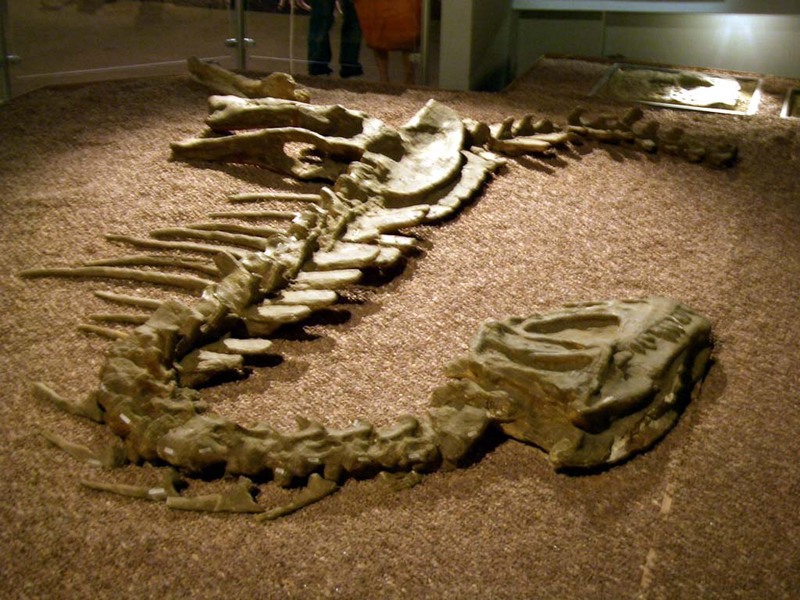 Paleontologists found many organisms in fossilized form, one of them was dinosaur fossils. 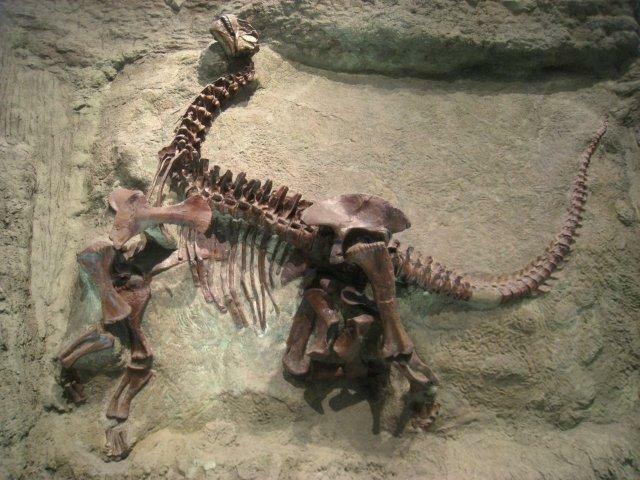 Fossils are the only evidence to proof that dinosaurs ever existed. Dinosaurs fossils are found in sedimentary layers almost on every continent. No fossils are found after a later of iridium-encrusted clay. This layer was laid down about 65 million years ago. 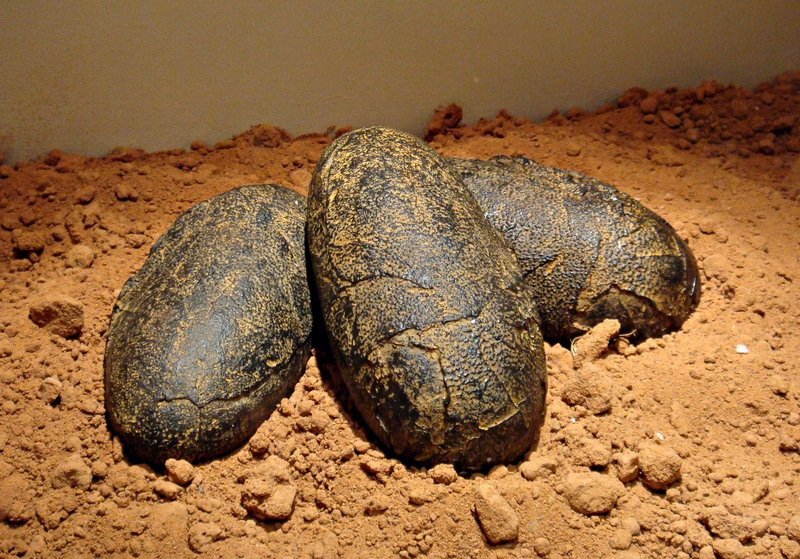 Paleontologists identify all dinosaurs-related such as egg, skull, bones, skeleton, even the dung (coprolites). 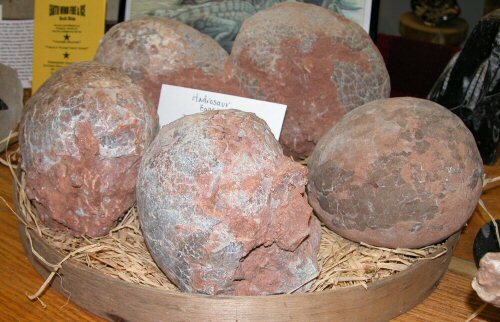 For your information, largest fossilized-eggs was found in China and belong to Hypelosaurus. Paleontologists also identify dinosaur’s dung to identify what did they ate during their life. Its dung can contain animal or plant where they can reveal whether the dinosaur that produced it was a meat-eater dinosaur or plant-eater dinosaur. Skull fossils helps paleontologists better to identify its bone formation and conclude what dinosaurs were found. Some scars in some fossilized skulls also helps paleontologists to show that they battled each other. Every people can found dinosaurs, even in their backyard. Most fossils were formed by the mineral in the sediment. The Sediment covered the bones slowly over million years and compressed into sedimentary rock. The bones become rock, buried deep underground.As Earth’s surface changed, these fossils that deeply buried, now moved closer to the surface, and finally paleontologists revealed through the excavations. 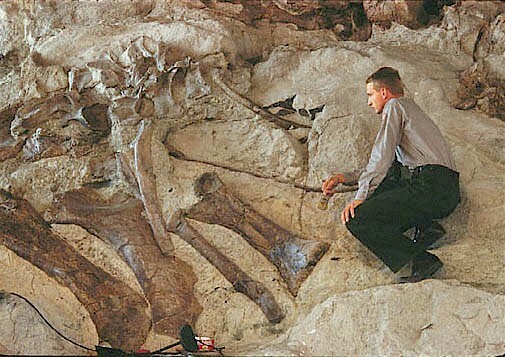 They unearth it and unite the bones, after that they use computerized program to identify the dinosaurs.